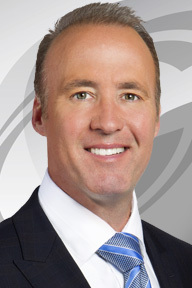 KWTV News9 Chief Meteorologist David Payne will be joining OCCC for his Wild Weather presentation at 11:30 a.m. Tuesday, Feb. 9 in the College Union located on campus. This will be David Payne’s third year speaking to OCCC Students and Faculty about severe weather. The presentation will cover basic information about weather, along with ways for students and faculty to keep their families safe during severe weather. Student Life Program Assistant Kristi Fields said it’s important for students and faculty to attend because severe weather is such a prevalent threat in Oklahoma, year round. Fields said she has been the Program Assistant for Student Life at OCCC since August 2015. Payne and Fields both had the same answer to what they wanted students to walk away with after the event: have a plan. The event is free to attend, and light refreshments will be provided. To contact Payne, reach KWTV News9 by phone at 405 843-6641 or through their Facebook and Twitter pages, and request to speak to him.